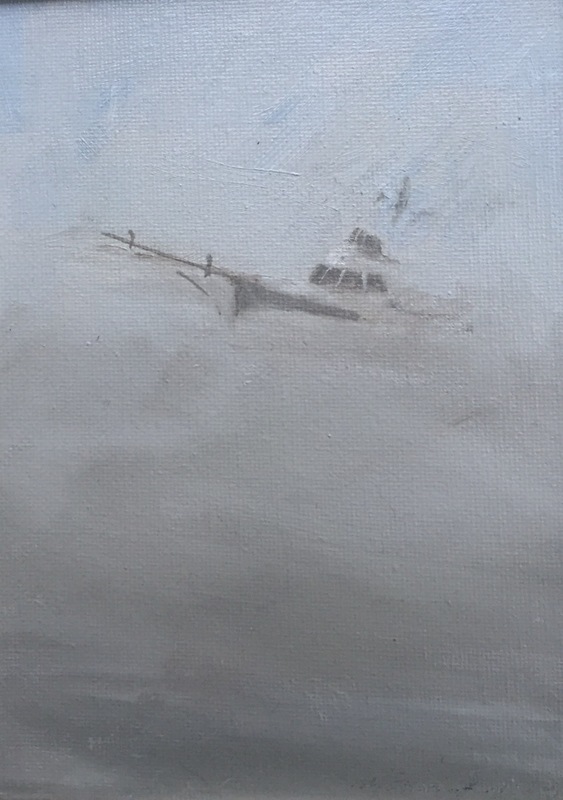 6x8 oil painting of a yacht making its way through the fog off of Mohegan's treacherous coast in mid July. The time when muffled voices and the steady whine of the engine are heard before the vessel is sighted. The painting captures the dense atmosphere of the fog and the boat shrouded in it as if wrapped in a blanket.